We regard as essential each company’s member. A company committed towards the promotion of activities ameliorating its employees’ health and lifestyle will make them feel as essential gaining great benefits also due to their improved wellbeing. When employees are happy and healthy their positive energy is easily transferred within their working environment. Because of the mentioned reasons, in RYOGA we develop programmes with accredited companies to assure special discounts for our staff. We firmly believe that practicing yoga can enhance your company. For this reason specialized programmes based on yoga and meditation practices, focused on developing interactions and collaboration among team employees, have been created. Corporate and Team building programmes could be structured both as single events and recurrent meetings. These can be organized within our structures, other companies or external locations. We also organize Yoga Corporate Retreats. 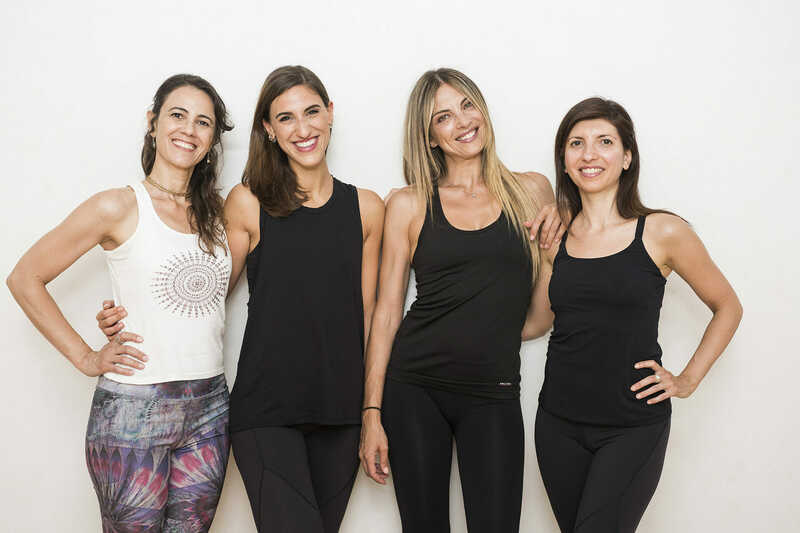 We organize private events where yoga becomes a wellness and harmony experience sharing opportunity within our studios or in selected locations. Either for a group of friends or for special events, we are here to conceive with you the most suitable event. RYOGA’s studios are the perfect backdrop for sport-related photo shooting, including sportswear and fitness brands searching for a distinguished and well finished location.